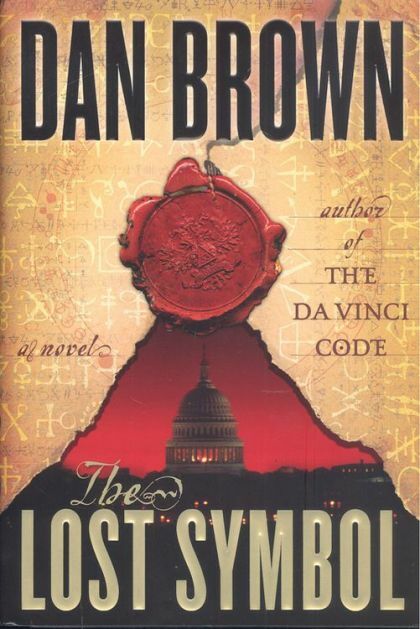 Dan Brown’s new novel, the eagerly awaited follow-up to his #1 international phenomenon, The Da Vinci Code, which was the bestselling hardcover adult novel of all time with 81 million copies in print worldwide, will be published in the U.S. and Canada by Doubleday on September 15, 2009.THE LOST SYMBOL will have a first printing of 5 million copies, and it will once again feature Dan Brown’s unforgettable protagonist, Robert Langdon. Brown’s longtime editor, Jason Kaufman, Vice President and Executive Editor at Doubleday said, "Nothing ever is as it first appears in a Dan Brown novel. 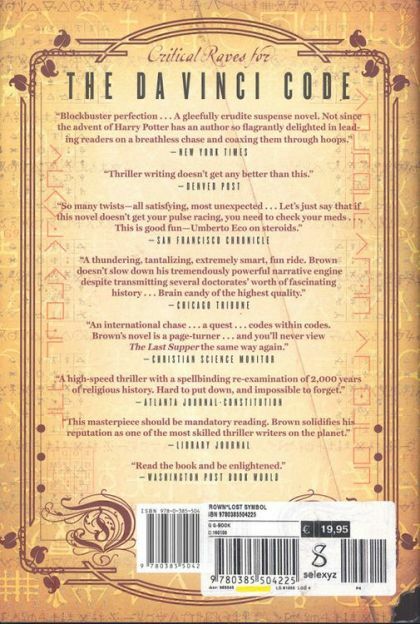 This book’s narrative takes place in a twelve-hour period, and from the first page, Dan’s readers will feel the thrill of discovery as they follow Robert Langdon through a masterful and unexpected new landscape. THE LOST SYMBOL is full of surprises. "Dan Brown’s popularity continues to grow. The film of The Da Vinci Code was a #1 box office smash when it was released by Columbia Pictures in May 2006 with Ron Howard directing and Tom Hanks starring as Robert Langdon. Box office receipts were $758 million. The same team will release Angels and Demons theatrically worldwide on May 15, 2009.